If you considering adopting a child, Turner Law Offices, P.C. has experienced Nashville adoption lawyers to ease the stress and frustration of the adoption process. Adding a child to your family through adoption and surrogacy can be very complicated and time consuming. Nashville adoption attorneys are familiar with the adoption laws and knowledgeable about the adoption procedures. It is critical to hire a competent Tennessee adoption lawyer to make sure that the adoption is legal and binding. Adoption is the legal process by which a child legally becomes part of a non-biological family through court action. The adoption process is two-fold: 1) terminating the parental rights of a biological parent and 2) establishing a parent-child relationship with the adoptive parent. In this process, Courts are required to terminate the parental rights of a biological parent based on consent or certain statutory grounds, then make a determination that the adoption is in the best interest of the minor child being adopted. With all Tennessee adoptions other than relative adoptions, the child must be in the physical custody of the adoptive parents for six months prior to finalization of the adoption. Once the adoption has been approved and finalized, the parents who have adopted the child will have the same legal rights as the birth parents of said child. Additionally, the adopted child has the same rights and benefits that it would have if it was actually born to those parents. In Tennessee, an adopted child is issued a new birth certificate naming the adoptive parent as a legal parent of the child. Adoptions can be divided into various types based on a number of factors. 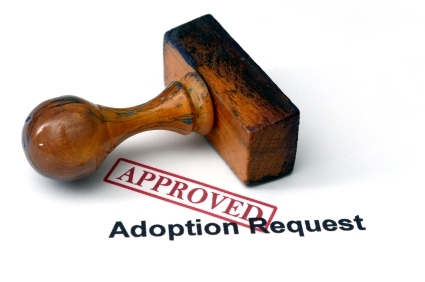 Each adoption type has specific requirements and hurdles. As Tennessee child adoption attorneys, Turner Law Offices, P.C. knows our specific role in each case type, and eases the frustration of navigating the adoption process. Step-parent adoption–The most common form of adoption in Tennessee. In most cases, the minor child has lived with the person filing for step-parent adoption has been a major part in the child’s life for some time; the step-parent has been acting in loco parentis, i.e. as a parent. The formal adoption process is merely a legality. Relative adoption-–Tennessee law defines relatives as grandparents or any degree of great-grandparents, aunts or uncles, or any degree of great aunts or uncles, or step parent or cousins of the first degree or any siblings of the whole or half degree or any spouse of the above listed relatives. State adoptions –Child is in state custody. The child is placed in a foster home, often the home of the prospective adoptive parents. International adoptions–Children are generally in orphanages in foreign countries. Foreign adoptions are a two-step process: 1) adoption in the foreign country, and 2) re-adoption of the once the child is in the United States. 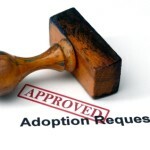 Adult Adoption–person being adopted is over the age of eighteen and consents to the adoption. Surrogacy/Artificial Reproductive Technology (ART)–child is being conceived through in vitro fertilization and will be either carried by a surrogate or will be carried by the adoptive mother. Call Turner Law Offices, P.C. today to meet with one of our caring, compassionate adoption attorneys to plan the new addition to your family. The intricacies of Tennessee adoption law demands that adoptions are handled by experienced adoption lawyers. At Turner Law Offices, P.C., you will receive superior legal and emotional support, creating life-long relationships through the adoption of a child. Let our family build your family today!